"Transforming the firm's innovation approach in R&D from a closed to an open one promises huge benefits such as increased agility and effectiveness, lowered risk and revenue growth through new products." Vern Burkhardt (VB): You say that the third generation of innovation management has begun. Would you explain how this differs from the first and second generations of innovation management? Frank Mattes: In a historic view one can clearly distinguish three generations of innovation management, each of them characterized by a specific paradigm on how managing innovation is seen. In generation 1, with the adoption curve ending in the early 1990s, innovation management was synonymous with professional management of singular innovation projects. The adoption curve for generation 2 started in the mid 1980s when process-driven management concepts like Business Process Reengineering came into focus. Consequently, leading firms changed their view on innovation management and looked at it from a business process or financial perspective, implementing innovation management approaches that focused on process management (for example; standardizing work streams), on limiting the financial risks of false positives – stage gates – and on managing innovation investments – portfolio management. At the turn of the century, the 3rd generation of innovation management began. It is characterized by a collaborative and networked view of innovation management, building on top of the concepts implemented in generations 1 and 2. Firms are fundamentally changing their views because they are becoming aware of the huge global pool of know-how and expertise available for leveraging in-house innovation capabilities. One example is a globally leading fast-moving consumer goods firm that estimates the number of worldwide experts in its technology fields to be 200 times higher than the headcount of its own R&D. Additionally, firms changed their views on Intellectual Property. In generations 1 and 2, IP was seen as a defensive mechanism to keep competitors at bay. In generation 3, firms want to recoup and leverage the investments required to generate IP. They see IP as a source of revenue and/or new business models. An example is a globally leading chemical firm which estimates that 10% of its IP are contained directly in its products, 30-40% has a clear defensive function, but the remaining 50-60% needs to be awakened from its "Snow White sleep" and put to work. VB: You indicate that the key to excellence from 1980 to 2000 was achieving process excellence, whereas from 2000 to 2020 it will be innovation excellence. Would you talk about this, and what do you foresee being the key to excellence post-2020? Frank Mattes: In the 1980s and 90s, efficiency-driven management concepts like Business Process Reengineering and Six Sigma provided competitive advantages to the firms that best implemented them. This was in a business world in which 5-year strategic plans were the norm. But the world we live in today and tomorrow is different. There are no 5-year plans anymore. There are unprecedented dynamics in markets and technologies. The global body of knowledge and expertise is connected via the Internet and growing exponentially. New expertise areas such as nanotechnology are moving from the lab to application in the blink of an eye, and borders between historically separated areas of expertise are blurring. It is simply not possible anymore for any firm to oversee all potentially relevant areas of expertise. Process excellence is still important but, in light of the developments just described, its significance has diminished. It is now no more than a necessary condition – and not a sufficient one anymore – for corporate success. The new mandate is to create, on top of process excellence, a competitive advantage by building new capabilities that connect with external expertise and manage new forms of cooperation. Here is an example. Even if we leave product, service, or business model innovation aside and look at an extremely business process-driven issue such as Supply Chain Management this trend is visible. In a well-received article in the Harvard Business Review published in 2010, the authors identified 5 key factors for future supply chain success, 3 of which have an innovation character. They are internal collaboration, external collaboration, and managing change. Looking beyond 2020, I guess that the currently emerging model in the software industry, "Software As A Service," will become the paradigm for innovation. Something like "Innovation As A Service," in which internal and external innovators effortlessly connect via semi-intelligent Web services in a "plug and play" style. VB: When talking about singular problems you say that one of the open approaches to innovation is "Requests For Expertise = Requests For Ideas/Concepts/Solutions." Would you elaborate? Frank Mattes: In outside-in Open Innovation, firms are tapping into the global pool of know-how and expertise in three separate stages of their innovation funnel. In order to structure processes dealing with the search and with the integration of external knowledge, leading Open Innovators typically categorize them into ideas, concepts and solutions. Ideas are at the fuzzy front-end of the innovation funnel. They are vaporous, nebulous, and often have ephemeral structures. Firms strive to "keep a pulse" on what is going on. If a new idea is identified and assessed to be relevant, a significant amount of R&D is needed. Relevant external ideas should provide a source of competitive advantage. Requests For Ideas have a mid- to long-term horizon and are done in B2C scenarios – for example, an outdoor apparel manufacturer looking for new ways to protect the product owner from rain – as well as in B2B scenarios – for example, a Pharma firm looking for new molecules. Concepts are in a later stage of the innovation funnel. They are liquid and more concrete. Concepts require some development, testing, and verification. Usually Request For Concepts have a mid-term horizon. Relevant external concepts could provide a source of competitive advantage. Sometimes Requests For Concepts are done in B2C scenarios – for example a car manufacturer looking for new concepts for car-driver interaction – but much more often they are done in B2B scenarios – for example a fast moving consumer goods firm looking for new concepts to prevent aluminum cans from corrosion. Solutions are at a late stage of the innovation funnel. They are crystallized and plug-and-play. Solutions address short-term needs for existing products or near-term launches. The needs can be clearly defined and succinctly communicated. The solution is unlikely to be a source of competitive differentiation. Requests For Solutions only come in B2B scenarios – for example a manufacturing equipment firm looking for ready-to-be-applied ways for manufacturing certain accessory parts. VB: As a consultant, do you find it difficult to generate support by top and middle management for Open Innovation initiatives? Frank Mattes: The level of support by top management largely depends on its awareness of the changing nature of innovation. Some of my clients know the success rules for innovation will be rewritten in the next 5 to 10 years, and they are determined to be among the winners. In these situations, usually one or two top managers take leadership. On the other hand, a large number of firms are trapped in the "innovators dilemma." In this situation it is hard to find sufficient top management support. As for the level of support by middle management, the key determinant in my view is the extent to which the innovation culture is shaped top-down. In some instances, where R&D units have a rather large autonomy, Open Innovation was started by a few entrepreneurial middle managers and got onto the top management agenda afterwards. Conversely, if the culture is largely determined top-down, middle management will not move until there are clear, strong, and enduring signals from top management. VB: Do you find that middle and upper managers often tend to resist Open Innovation because of concerns about confidentiality, intellectual property, and not wanting to reveal their business strategies? Frank Mattes: I hear those concerns often. They are valid and need to be taken care of – but they are not real obstacles. They can be dealt with and managed properly. In my view, these concerns are often "killer phrases" to ground the discussion about Open Innovation. VB: Are there any secrets to getting R&D people aligned to Open Innovation as a strategy for product development? Frank Mattes: I don't think that there are real secrets. There are some strong and proven principles and approaches that need to be tailored and orchestrated in order to achieve maximum leverage in a given situation. Among them are top management sponsorship or leadership, investing in middle management buy-in, spreading success stories with internal viral marketing and heavy communication. VB: At the end of September you spoke at the annual conference of the leading Open Innovation practitioners from the German-speaking countries. What current trends were discussed? Frank Mattes: I shared five trends I observed during innovation-3's work with our clients in 2010 and 2011. With the obvious variation in importance from firm to firm, there was consensus that these five are the most important developments, at least in central Europe. They are: increasing Open Innovation maturity, increasing embedding of Open Innovation into the firm's organization and processes, intra-firm roll-out of Open Innovation tools and mindset, increasing importance of internal and external innovation networks, and increasing role of OD/PD [organizational/people development] departments. VB: When talking about Open Innovation networks you refer to 'Leadership 2.0'. What will be the nature of leadership in corporations that have a 'net of innovation networks to engage employees, customers, business partners and Web communities'? Frank Mattes: Like innovation as a whole, innovation leadership in particular needs to adapt to the emerging new rules for innovation success. Although perhaps not completely representative, we did a benchmark of Open Innovation leadership in innovation-3's client base and identified 10 key characteristics of an Open Innovation leader. Is driven by impact or results and not by "sticking to the rules"
VB: I gather there has been a large uptake in Open Innovation in Germany, Austria, and Switzerland. Based on your surveys of companies and your consulting practice, what would you say still needs to be done for most companies to be effective in using outside-in Open Innovation? Frank Mattes: It is true that most firms have several open approaches to innovation in place, such as contract research or joint development projects. However, most of the firms do not have a systematic approach that answers fundamental questions of Open Innovation such as "Where should we be open and where not? ", "What is the right open approach to innovation? ", "How do we find new innovation partners beyond the known ones and maybe even from other industries?" and "How do we absorb the external knowledge of our innovation partners?" VB: In one of you're blogs you say, "…most firms are pursuing one or more open approaches to innovation already – but only a few are operating fully on the Open Innovation mindset and have a well-architected, integrated and managed Open Innovation portfolio in place." Do you predict the most successful firms in the 21st century will be those that have such a mindset? Frank Mattes: Yes, definitely. Tomorrow's innovation leaders will be excellent at connecting with the global body of knowledge and expertise, and in innovating in networks and ecosystems. The point is not so much the term "Open Innovation." My view is that Open Innovation concepts will gradually become part of "normal" or "routine" innovation management. Just like Quality Management some 20-30 years ago was one of the hottest management concepts, and today it is a natural, integral part of new product development and of production or service delivery. VB: Of the 20 Open Innovation approaches you describe in your article "How to make Open Innovation work for your R&D," which are the best in your view? Frank Mattes: This is a question I often hear yet it can't be answered the way it is posed. The "best" approach depends on the specific innovation field in which you want to innovate openly. Let me illustrate the point with two cases. Assume you have a technology field that is highly attractive, but you are not at the global top. This field is surely a candidate for Open Innovation. Now, suppose this technology field is needed for a new product platform where you foresee a long way to go. You would most likely go for a more strategic open approach such as a strategic partnership including a joint development project, maybe even including investment in your partner's production infrastructure as Apple has done in displays. If, on the other hand, you estimate that only one little piece of knowledge is missing and that this one little missing piece would open a new world of opportunities, you would probably choose a different approach, like posting a Request For Concept in your innovation network or using an Open Innovation intermediary to search for innovators who might have the right solution. VB: Do you have any advice regarding how a company should go about choosing which of the 20 Open Innovation approaches it should use? Frank Mattes: It's not primarily about which open approach to innovation is superior. Leading Open Innovators have a portfolio of open approaches to innovation, and they are well aware of which approach they are using in which situation. So let me rephrase the question: "How does a company find the best portfolio of Open Innovation approaches?" Although there is no one-size-fits-all answer to this question, there is a solid three-step method for determining the best Open Innovation portfolio. In step 1, you identify all the relevant innovation fields – technology, business, and business processes. You make a list of all the open approaches to innovation your firm currently uses – for example; contract research, joint ventures, lead user integration – and add to this list approaches from other industries which could be adapted. My paper might be a good starting point for this. In step 2, you determine your innovation strategy – for example; leader or fast follower – in the fields you identified in step 1, and decide in which of these fields you want to innovate openly and in which not. There is guidance in how to answer the second part of this step, but that would take us beyond the scope of this interview. Finally, in step 3, you take the list from step 1 and cross-link it to the results from step 2 in order to find out which of the potential approaches would support the innovation strategy in the identified Open Innovation fields. You would particularly look at approaches that address the innovation drivers in these fields. In some fields, innovation may be driven by universities, in others by start-ups or suppliers. VB: In your paper, "How to Make Open Innovation Work for Your R&D," you say, "OI is not about outsourcing R&D; rather it is about in-sourcing the technological expertise of the world." However, is it not the case that over time companies may be able to reduce the size of their R&D staff and therefore their fixed costs if they successfully adopt an open approach to R&D? Frank Mattes: That's a good point. In fact, during the economic crisis of 2009/10, innovation-3 did the bulk of its projects for clients who were asking, "How can we maintain our R&D output now that our R&D budgets have been cut?" However, in a representative study on Open Innovation in German firms practically no firm was seeing Open Innovation as a mechanism for downsizing R&D. Practically all of them were seeing Open Innovation as a lever for growth and increased innovation performance. In the future, we may see different reasons why firms are implementing Open Innovation. VB: Are more and more companies you work with asking the question, 'What should our R&D organization look like in 5 years time? Frank Mattes: This is a question that is running alongside large-scale Open Innovation projects. However, our clients are taking more of a bottom-up approach. They're saying, "Let's get this Open Innovation thing flying and then we will see what we need to adjust and what the new potentials are." VB: Are you still involved with InnovationManagement magazine? Frank Mattes: Yes, I still work as a contributing editor for InnovationManagement magazine which is the largest online magazine for the innovation management practitioner. VB: Would you tell us about the services innovation-3 provides? Frank Mattes: Innovation-3 is an expert network for the innovation professional who wants to seize the potentials of Open Innovation while at the same time being sure not to repeat the mistakes that others have already made. "Open Organization" services help to embed Open Innovation into the structures, processes and the culture of the firm. Depending on the specific situation, innovation-3's project set-up always involves people with deep insight into Open Innovation. Most of the time, seasoned innovation professionals from the relevant industry are part of the innovation-3 client team, sometimes also legal experts, VCs or software firms. VB: I understand that you work extensively with partners. How does this work? Frank Mattes: When one dives into Open Innovation, one finds very soon that one needs to have a solid domain expertise for every client's business arena in order to make an impact. There is no way any consulting firm could hold this deep domain expertise available for a multitude of industries. Additionally, it would be somewhat strange if a consulting firm said to its clients, "You need to be open – and we have all that you need to know inside our company walls." So, when I saw the market need for Professional Services in Open Innovation, I designed innovation-3 deliberately as a network. In this network you'll find a huge pool of expertise you can tap into and use for your firm's projects in a targeted way. Some members of the innovation-3 network are listed on innovation-3's Website, some are not. One network member that you do not find on innovation-3's site is MBtech, an engineering and consulting unit of 2,500 people globally, owned by German car maker Daimler and French engineering giant Akka Technologies. We have a solid base in automotive and engineering. Depending upon whether the bulk of work is more "old school with a twist of Open Innovation" or the other way around, the client project is led by MBtech or by innovation-3. Also not listed on Innovation-3's web site are software firms, VCs, IP experts, innovation managers with an industry background, and others that are part of innovation-3's network. Another partner that is listed is our U.S. partner LodeStar, a B2B consulting firm located in Princeton, NJ. Innovation-3 sets up joint teams with LodeStar when client assignments need to have a strong U.S. footprint. Similarly, innovation-3 has partners in Singapore in order to have Asian coverage. VB: In your Blog you describe a two-day Masterclass seminar on Open Innovation. What do participants learn? Frank Mattes: This two-day Masterclass condenses the insights innovation-3 has compiled in 3 years of 100% focus on Open Innovation. It is offered both as an open seminar where participants from different firms meet and as a specifically tailored, in-house seminar. In two days, we analyze a number of best practices, and discuss a proven model for structuring all the factors that are keys to success in Open Innovation. In innovation-3's model there are five dimensions and four key enablers needed for success in Open Innovation. The dimensions are strategy, processes and IT, organization and management, culture change and innovation networks. The enablers for Open Innovation success are legal framework, IP management, new innovation partners, and the absorptive capacity of the firm that is the capability to integrate external knowledge. VB: Would you tell us about your newsletter which is published in German? Frank Mattes: Sure. Every 6 to 8 weeks, innovation-3 sends out a newsletter to some 250 people – clients and business friends – who are responsible for Open Innovation in their firms. In this newsletter, we share insights and latest thinking, as well as pointing out events that innovation-3 is hosting. So for instance, at the beginning of February innovation-3 will host a one-day cross-company practitioner workshop on how to embed Open Innovation into the organization with participants coming from Bayer, Siemens, Robert Bosch, German Aerospace Center, Lufthansa, RWE, Continental, Merck, Beiersdorf, BASF and SAP. VB: Do you have any other advice about how to make Open Innovation work for your R&D? Frank Mattes: If I limit myself to one piece of advice I would quote the old Chinese wisdom that every journey starts with a first step. It's more important to start, run some pilots, learn from them, and gradually extend the scope, than to wait until all questions have been answered fully. By then, your firm's competitors will probably have profited from Open Innovation, built up their innovation networks, and pulled the best innovation partners into their innovation ecosystem. To cope with these megatrends, firms are putting more and more concepts of Open Innovation to work. Some people also call it Collaborative Innovation. Currently there are some 20 different Open Innovation approaches variously used by the R&D functions of leading firms. Frank Mattes takes a closer look at these approaches and provides guidance on how firms could define the best portfolio and how to make Open Innovation work for your firm's R&D in "How to make Open Innovation work for your R&D." 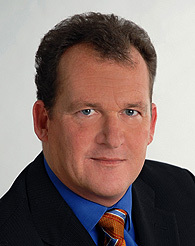 Frank Mattes founded and manages innovation-3, an Open Innovation expert network. He has 15 years of consulting and several years of C-level business experience. After studying Applied Mathematics in Germany and the U.S., Frank Mattes collected more than 15 years experience managing projects and innovation. He worked for specialized medium-sized national consulting companies as well as for The Boston Consulting Group. Additionally he has worked at C-level for an eBusiness firm, an IT firm, and a Professional services firm. Frank Mattes is also contributing editor at InnovationManagement, the leading online magazine for innovation management practitioners. One of his publications, "How to make Open Innovation work for your R&D" has attracted wide-spread interest. He has written several books in German and numerous articles, and is a frequent speaker at highly prestigious conferences. To read other interviews with authors and people interested in innovation, creativity, and business leadership please go to Interviews with Innovation Authors and Corporate Innovators. Excellent interview with Frank Mattes, Founder and CEO of innovation-3. It is very interesting.